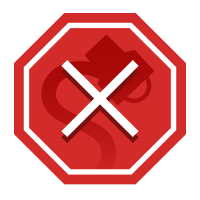 FACT CHECK: Did 'The Grinch' Pistachio Ad Make a Crude Reference? Did ‘The Grinch’ Pistachio Ad Make a Crude Reference? 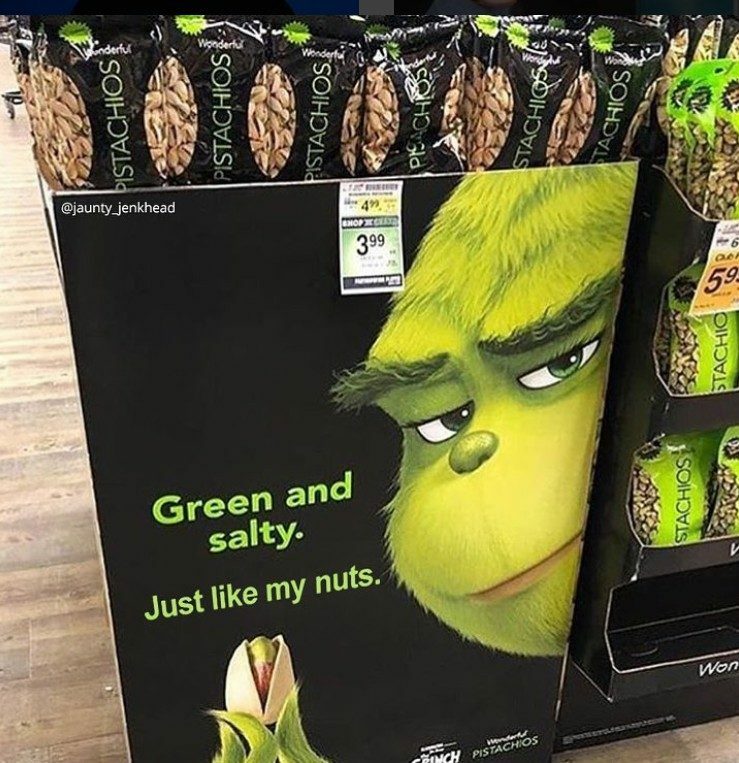 A cross promotion between the new movie "The Grinch" and "Wonderful Pistachios" is genuine, but the character never stated that pistachios are "green and salty just like my nuts"
A “Wonderful Pistachios" ad featured The Grinch touting the slogan “Green and salty. Just like my nuts." This is not a genuine advertisement. 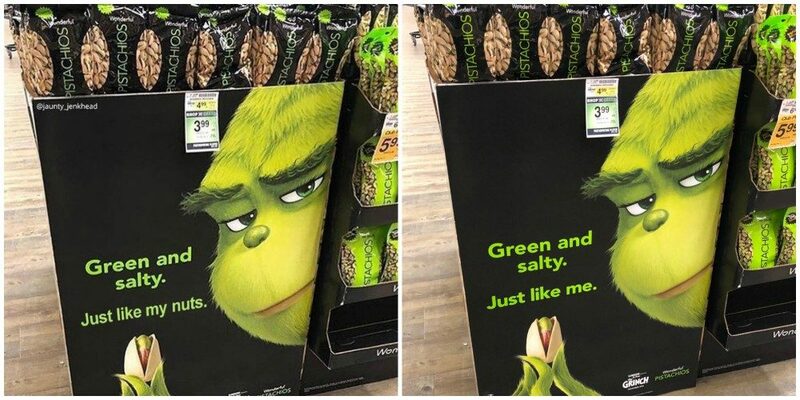 “The Grinch” and Wonderful Pistachios did run a series of cross-promotional advertisements that utilized the character’s mean-spirited humor, but this image was digitally manipulated. One indication that this image is fake is the watermark for Instagram user “@Jaunty_Jenkhead,” a self-described meme hoarder, visible on the top left of the display. A scroll through Jaunty_Jenkhead’s Instagram feeds reveals a number of other memes and manipulated images. The Packer. 17 October 2018.